Through our environmental, social and labor practices, we are committed to using our business model to make a positive impact in our community. The Joinery is recognized for its extensive commitment to sustainable business practices. We have been a certified Certified B Corporation™ since 2010 and have been a regular among B Corp’s “Best for the Environment List” as well as Oregon Business Magazine’s 100 Best Green Workplaces in Oregon. The quality of our craft may be our single greatest environmental contribution. With most furniture built today destined for a landfill within a few short years, the lifetime guarantee on The Joinery’s products ensure that our valuable natural resources are used wisely. 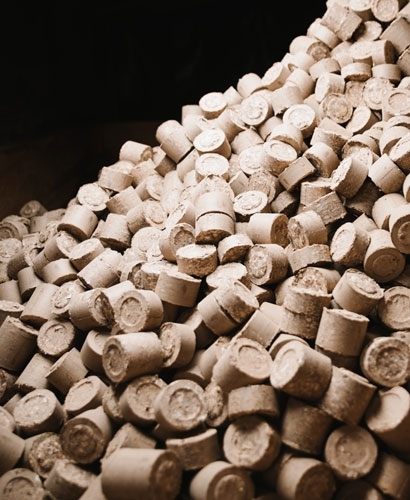 We recycle or reuse our scrap lumber, and our dust collection system and briquette machine compact sawdust into wood briquettes that we donate to the community. Additionally, our delivery truck runs on biodiesel fuel, our facilities are powered by solar and wind energy, and we use high-efficiency lighting throughout our facilities. Perhaps the capstone of our recycling efforts is our annual Metamortise Award, which recognizes the employees who create the most innovative pieces of furniture from scrap lumber. The Joinery offers a variety of US hardwood species for our standard products and frequently searches out other distinctive woods in response to specific customer requests. In all cases we seek to find an environmentally responsible source. Much of our lumber is certified by the Forestry Stewardship Council, which maintains the highest standards in the country for environmental stewardship. The overwhelming majority of our wood is either locally sourced from Oregon and Washington, FSC certified, or both.